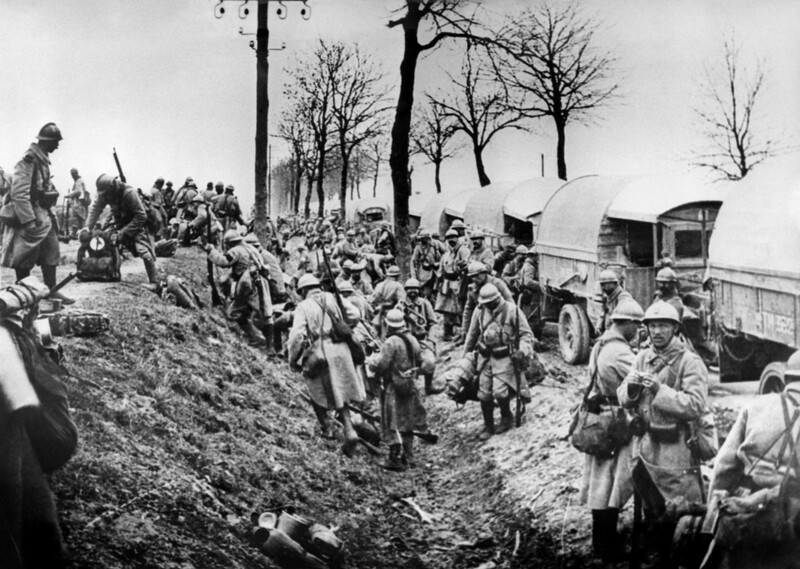 This file photo taken in February 1916 shows French soldiers unloading trucks near Verdun battlefield, eastern France during WWI. 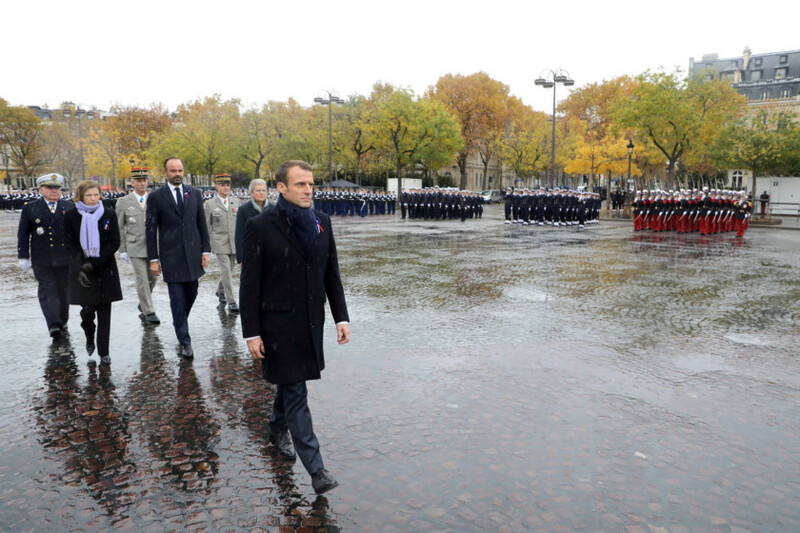 The world last week marked the centenary of the Armistice that had ended the First World War. It was ironic, but not surprising that the event was hardly noted in most of the Arab world, a region that was one of the many battlefields of the Great War. It was ironic because that war, which broke out in the heart of Europe, had a seismic effect on the geopolitical identity of the Arab world; one whose reverberations are still being felt today. And it was not surprising because for most of the people of the region, that war never really ended! By the end of the First World War, great empires had collapsed and their territories divided like booty among the victorious powers. The demise of the Ottoman Empire meant the release of nations from centuries of direct and often brutal control by Constantinople, but that emancipation was short-lived. Triumphant imperial powers had stepped in to draw new political frontiers and create new states. The Levant, most of Arabia, Turkey and the Balkan states — as we know them today — are offsprings of that war. But more than the geopolitical undercurrents that continue to rock our region, we rarely remember the hundreds of thousands of Arabs and ethnic minorities who perished during that war. Muslims found themselves fighting for both sides as either subjects of the Ottoman Empire or recruits from colonies belonging to France, Britain and others. Historical documents refer to how these soldiers were forced into battle, sacrificed in their thousands and rarely remembered for their role. That war produced one of the most incredible cases of usurpation of a national homeland in modern history. The Palestinian tragedy continues to plague the region until today, with no end in sight. The carving up of the Levant between Britain and France at the end of the war through self-serving mandates facilitated the Zionist programme of colonising Palestine and uprooting the Palestinians. The war had changed the shape of Europe and the Middle East and created a special bond, one of servitude for the latter, between the two. The colonisation of the Middle East and North Africa would doom the region to become a major front in the Second World War, which would erupt 20 years later. By the time the colonisers had left the region, new nation-states had emerged in a deeply polarised world. The global ideological showdown would divide the new Arab world and a dark chapter of uprisings, military coups and civil wars would cast a dark shadow over the region for a long time to come. The just cause of Palestine would trigger a series of Arab-Israeli wars and would remain one of the few common denominators for the Arabs from Morocco to Oman. In between internecine conflicts that have wasted resources and delayed progress and nation-building, the region sought to recover only to be drawn into new challenges. In a non ideological, unipolar world, Arab states and regimes tried to find their place among nations. But the ghosts of old empires would haunt the region again. A resurgent Turkey tries to revive Ottoman grandeur and looks at former colonies in the Levant. A militant Iranian regime, with a sectarian agenda, attempts to create a Persian crescent that extends from Tehran to Beirut, through Baghdad and Damascus. Meanwhile, opportunists and religious zealots would seek to build a utopia by using dogma to ostracise opponents. The region is ripped apart between those who dwell in the past and those who struggle to build a better future. A century after the geopolitical fate of the region was altered, the majority of Arabs — especially the youth — want stability, freedom and a role in deciding their future. The struggle for nation-building continues across the vast Arab world. But it is one that is hampered by foreign meddling, especially by regional neighbours and self-serving power centres that stand to gain from maintaining the status quo. It is mind boggling that a century after the end of the Great War that would eventually lead to the emergence of independent Arab states, there is hardly a region in the Arab world today that is not plagued by crisis. 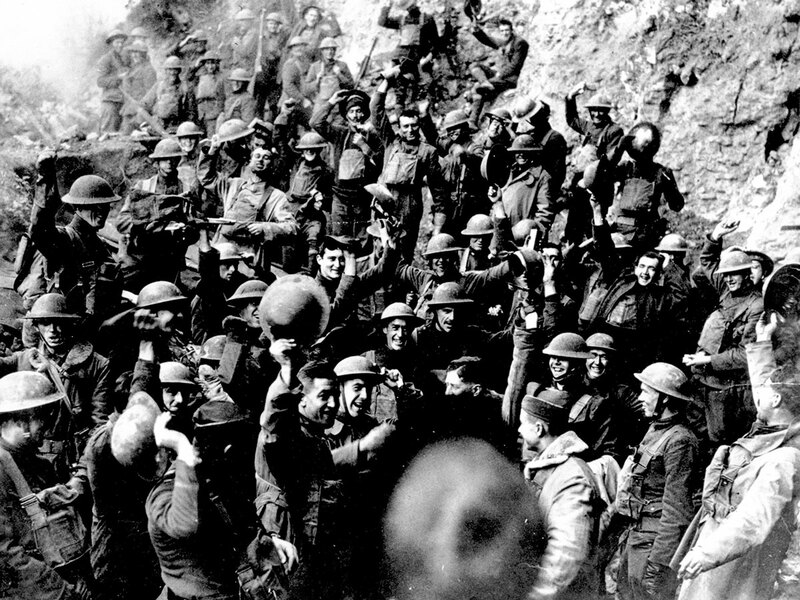 The events that took place before, during and after the First World War have become part of the geopolitical genetic make-up of this part of the world. But while most of the nations that played a role in that war had moved on, our region remains bogged down. A look at the state of the Arab world today is a stark reminder that a century later, the battle for identity, nation-building and a place among nations has hardly subsided.